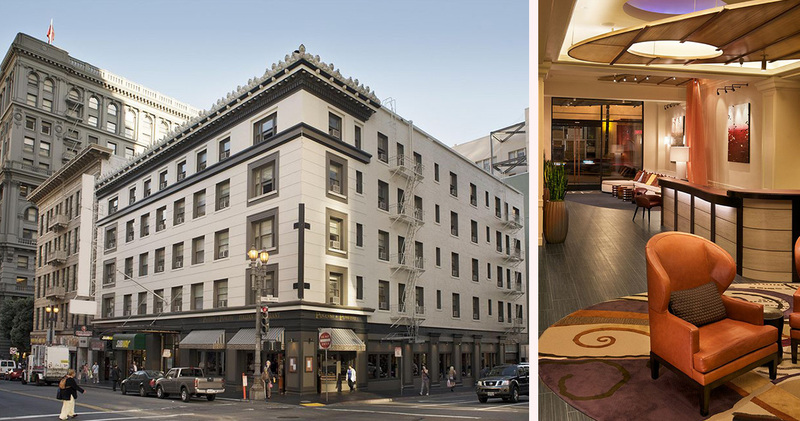 Located a short distance away from the Golden Gate Bridge, Union Square and Nob Hill, Hotel Abri is a great place for city explorers. 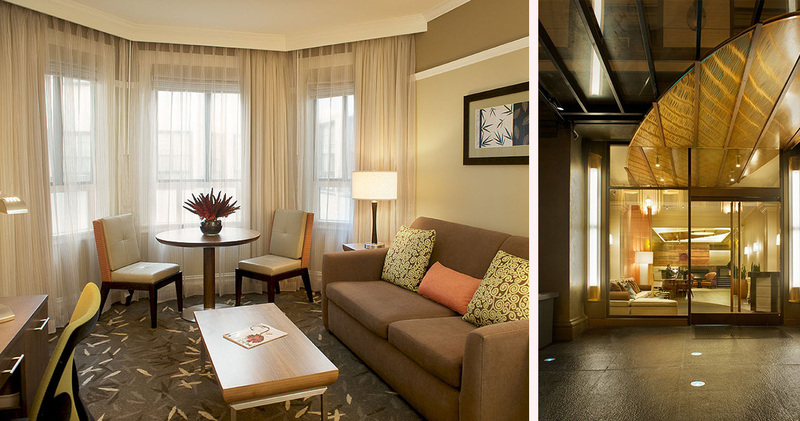 This luxury boutique hotel is trendy and urban. 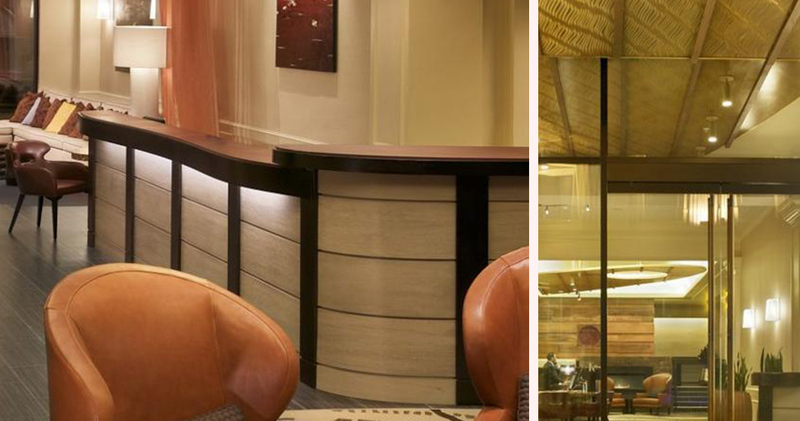 The lobby features dark hardwood floors, an inviting lounge area and iPads for guests. 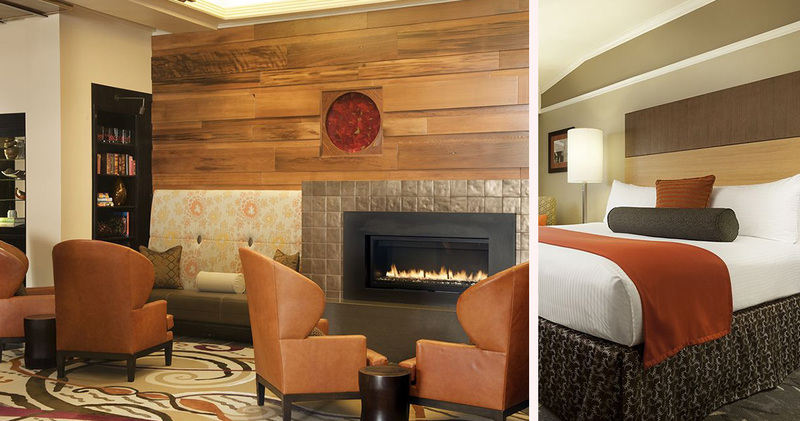 There is a modern fireplace and comfortable leather armchairs, creating the perfect environment for guests to unwind. 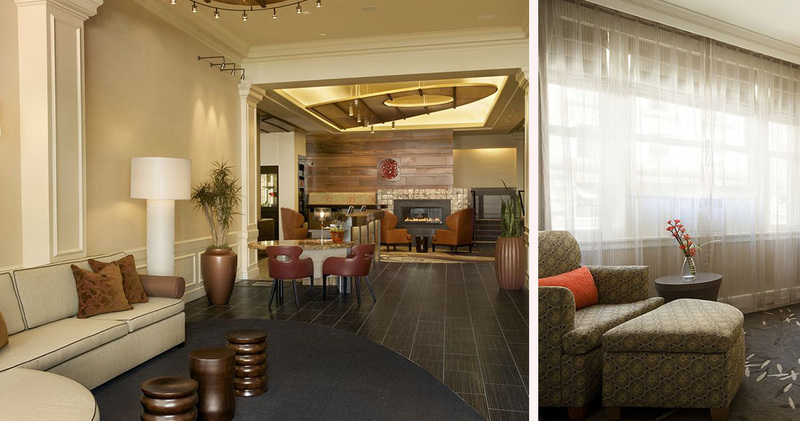 This pet-friendly hotel also offers guests a personal shopping valet service. There is a Tech Menu available for guests that have forgotten their ear buds or chargers, and a sundry shop is also on site for everyday necessities. 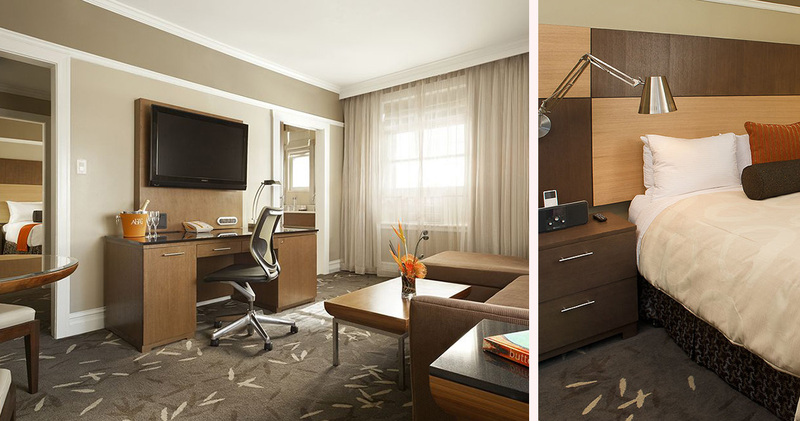 The eclectic guestrooms at Hotel Abri San Francisco are sleek and contemporary. The decor features soothing, earthy tones with occasional bright splashes of orange that create a sense of fun. 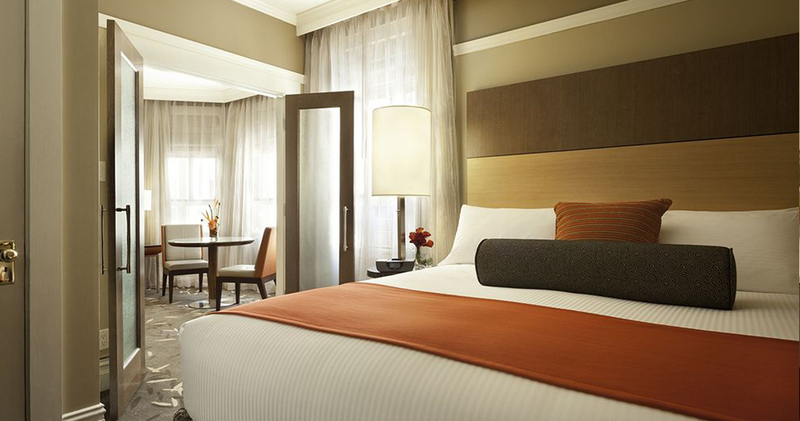 The furniture is modern, with hardwood headboards and comfortable armchairs and ottomans. 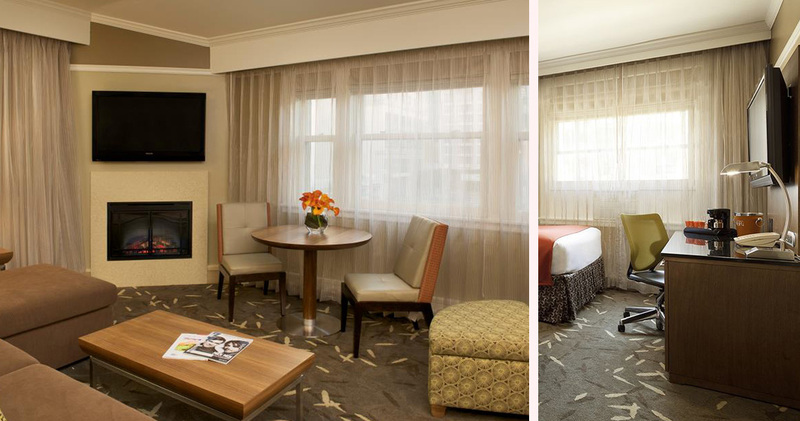 The guestrooms at Hotel Abri also come with an iPod docking station, DirecTV and Boston Acoustic Radio. 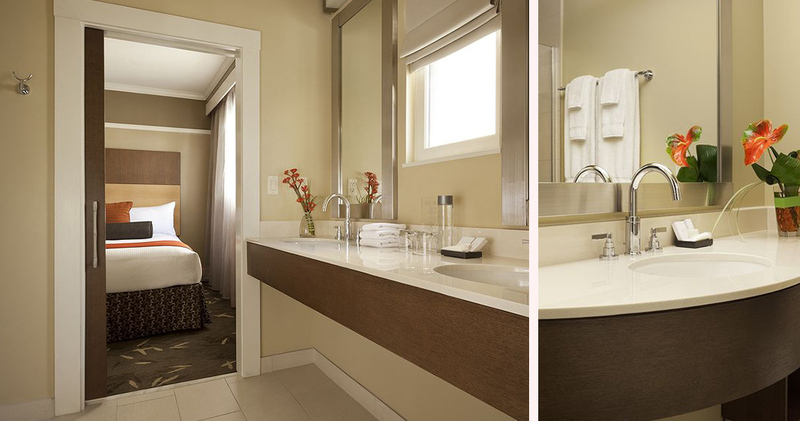 The bathrooms are modern and minimalist, and feature luxury bath products from Essential Elements. Hotel Abri is home to approachable and lively Puccini & Pinetti restaurant. This casual restaurant features an exhibition kitchen, whimsical murals and a lively vibe. Diners can enjoy home-style authentic Italian cuisine with California influences.